Music has its own way of expressing emotions or getting you into that mood or “zone”. It’s often regarded as one of the triumphs of human creativity. It’s always has been an important part of any distinctive culture. It’s not always rainbows and butterflies at work. There will be times that you’ll be stuck doing boring, repetitive and downright mundane tasks at any office lease Philippines. Best way to smash through this workload is putting your headphones on and start enjoying yourself. Motivation for a task stems from enjoying it so, even if the task itself is not exciting or simulating of tasks, music is definitely the huge contributing factor as it increases the happiness and efficiency while turning your mood around. We, humans, have some degree of creativity—an essential aspect of us that is vital when it comes to working productivity. But there are times that we are stuck for ideas on how we can get started on our project. Whenever that happens, it’s time for you to crank up your favorite playlist and get those creative juices flowing. Wherever you are, music can always bring inspiration to what you’re doing, helping you to form new ideas and concepts. Start your day by listening to high beats few minutes before you start to work. When you listen to this type of music while working, it will swiftly increase the pace of your workflow. This helps the work flow steady, consistent, and fast. High BPM music helps put on powerful pace and help with focus as well, but you’ll probably need to put some distance between you and your coworkers because you might start singing along or dancing. 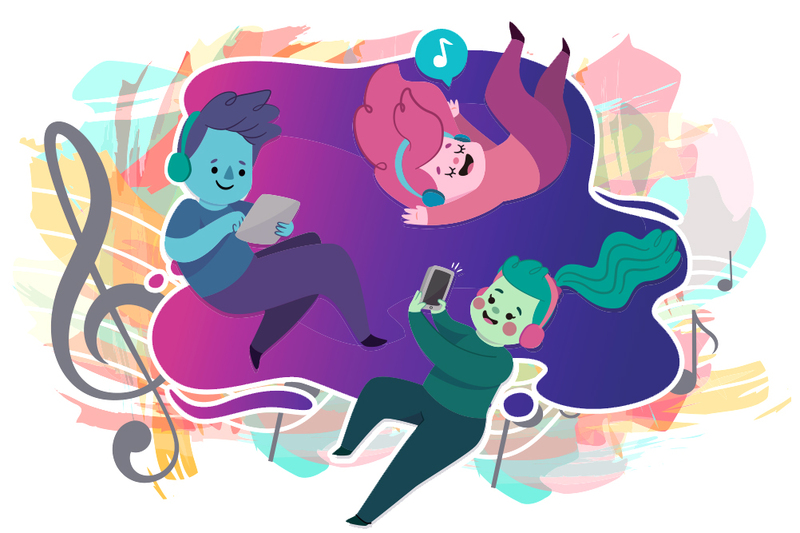 Have you ever noticed that you find it hard to stop your snapping your fingers or nudging your head when you start playing your favorite playlist on Spotify stream? This is because music is renowned for its ability to elevate our moods, putting a smile on our faces and making what we are working much more enjoyable. Perhaps you’re driving home from work or even on a road trip. Maybe you’ve been sitting at home, cooking or tidying your house. 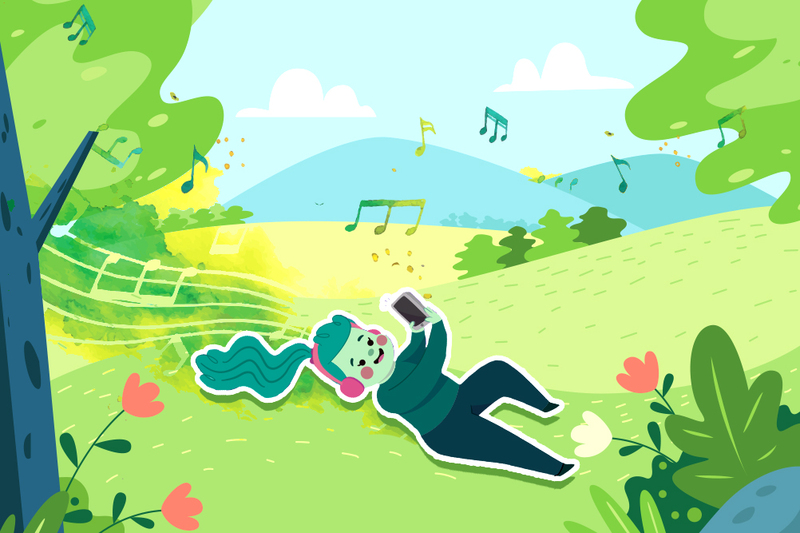 You’ll find out how much more enjoyable something is when you’re dancing around listening to your favorite tracks. How many hours of the day do you work and sit in an office chair in the same position? Do you only move when you take your lunch, trip to the water cooler or when you’re fixing your coffee? Not only this is bad for your health, but it’s also incredibly boring. Start listening to music with a high beat, and you won’t be able to resist moving your feet and getting active. Even if you’re just tapping your feet while you’re sitting on your chair, this is already better for your health than sitting completely still while writing that hundredth email of the day. Whether you’re working in a warehouse or an office, there is noise all around us that can get us out of our focus or slowing the pace of what we are doing. However, tuning into your favorite radio station is a great technique to block out these external distractions, enabling you to keep your focus. But as what we’ve mentioned above, big bass lines, a lot of changing beats and unique and constantly changing vocals may not be the best way to listen and minimize distractions. However, calm and repetitive music or instrumental music is a sure-fire way to cancel out any annoying background sounds. In the workplace, even while you are working on something, people will be coming by you, many of them will want to stop and chat, jeopardizing your productivity and focus. To avoid this scenario, wear your headphones every time. It is an unwritten rule stating that you don’t want to be disturbed, allowing you to maintain your workflow while enjoying your favorite playlist. Take note: This is definitely much more effective than putting a note on your door. Although wearing your headphones is a sure-fire way to get rid of people, it can actually help you make a more sociable worker. That’s not a contradiction; you might be listening to the same tracks that they are listening too or we rather say that you maybe have the same taste of music. Without noticing you are already talking towards each other and you’ll be able to catch up on conversations because you’ll have a ton to talk about. If you’ve been at work and you’ve found that you lose concentration and you’re just getting on with what you’re doing, the odds are that music was included. Listening to the right type of music can help you regain that lost concentration and delve into the task you’re trying to complete. Engage yourself to different music genre and see what works well for you. Once it boosts your concentration, stick to it. The more you get to learn and familiarize a set of songs, the more it will be associated with work and the more focused you’ll ever be when you listen to it. Listening to calmer music like classical music improves your mood and efficiency while working. But when it comes to repetitive tasks, listening to the same music you used to play doing these tasks is proven to help you zone out, dramatically increases your productivity level. 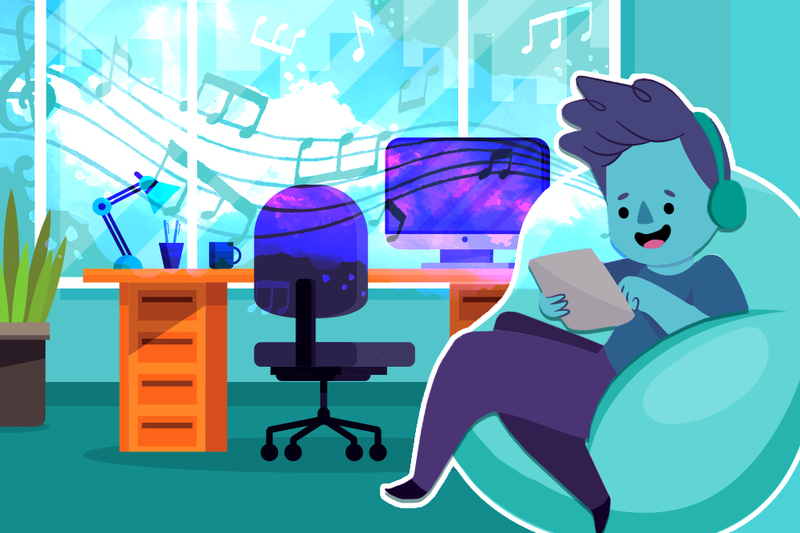 You can, even amplify your productivity by listening to songs with minimal lyrics. Memory has such an important role to play. When you already memorize the steps on how to execute the tasks it will be easier and faster to get it done. While this may be an unknown fact to some, music is proven to improve your memory functions. You might not know it but listening to music while doing tasks can be more efficient. This is because when you listen to music, both sides of your brain are working, improving the process that creates and retains memories making your brain more active. Have you ever found yourself at work trying to nail your deadlines but can’t help yourself looking and staring at the clock? In case you did not know yet, this is one of the ultimate productivity killers. If you’ve been in this situation, get yourself out in there because it might cost you as well. Instead, start loading up your funky playlist and watch the hours fly by! If you are assigned to do a project or task which requires a lot of concentration and focus, you may be tempted to turn the music off because you might be distracted. However, it’s not all the type of music that will make you distracted. If you’re listening to a music that you’re familiar with, you don’t have to pay much attention to it. If that doesn’t work, try classical or instrumental music. One study found on 1999 stating that human recognition of visual images in the form of Arabic numerals affected by noise showed a reduction in the needed for recognition and an increase in the probability of making a correct recognition occurred at specific volume levels for rock music. So, if you’re stuck and unable to make progress in facts and figures, or work in accounting, it might be time to start breaking out the Queen CD’s when your deadline is approaching. One of the best type of music to listened to at the office is ambient music. A type of music with such as a natural sound like a flowing stream or waves of the beach, so relaxing and peaceful that it would make you feel like you’re in the middle of a forest. It is proven as a great way to improve productivity in office environments as it helped to create an atmosphere and elevate moods. Life is full of ups and downs, and your office is no exception. Rapidly approaching deadlines, water cooler rumors and running late for a meeting are all common examples of where anxiety can hit home. But, big thanks to the music that has been proven time and time again to reduce feelings of anxiety, allowing to minimize the mental distractions and helping you to concentrate on what you’re doing. Boredom is infamous for being the huge killer of productivity. If you’re at your desk trying to complete a task, and you’re not enjoying it in the slightest, you’re going to get bored which results in you becoming unfocused and looking for a way out. However, with all the points listed above, music can lift your mood and regain your attention. This is almost guaranteeing to make your work more interesting, making you more productive and motivated to get things done.